Long are the days of wearing denim shorts to the lake or by a campfire. Denim cutoffs are now ranked high on the list of timeless trends. Feared by some, loved by many, the versatility of this wardrobe staple makes this classic style a must-have for spring/summer. The key is knowing how to wear them. I would compare them to the perfect pair of denim jeans, same styling method and all, but of course you are a lot cooler. 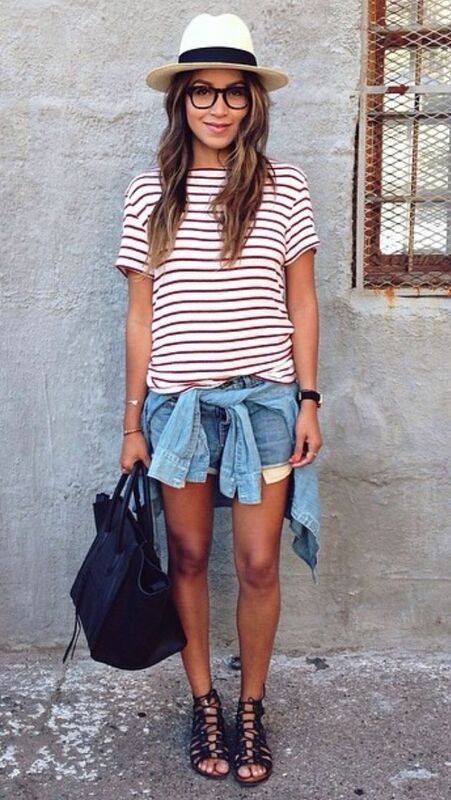 Here are 10 tips if you are wondering how fit denim shorts into your style. If you are hesitant about wearing denim shorts then why not create your own style? Simply find a pair of old jeans that you are moving on with. You know that these jeans already fit you so they should work with the style denim short that you prefer. Cut them to the length you desire and you now have your very own pair of custom made denim shorts. Some of us are just not fond of wearing shorts. But when you find balance you can find comfort. Meaning, wear something up top with a little more layer or give. This will give you the illusion of appearing longer and taller. Denim shorts are like a good pair of jeans. Feel free to spend a little more when it comes to finding the right style for you. If you find some that are a bit more than what you would like to spend then research and you may find them cheaper online or in your local discount store. It doesn’t matter if you need to try on several different pairs of shorts. As I said above, they are like jeans. Finding the right fit and length is very important when it comes to styling your denim shorts. You need to feel good when you walk out of the house. This is always a good start to any purchase of a new style. Find an honest friend or family member that will be kind in his or her honesty and can help you narrow down what type of shorts look best on you. Keep your denim style simple. Do not invest in high waisted denim shorts, colored shorts or the famous acid washed shorts. These styles come and go and may look great in a magazines but not so much in reality. White and black denim shorts are an exception. 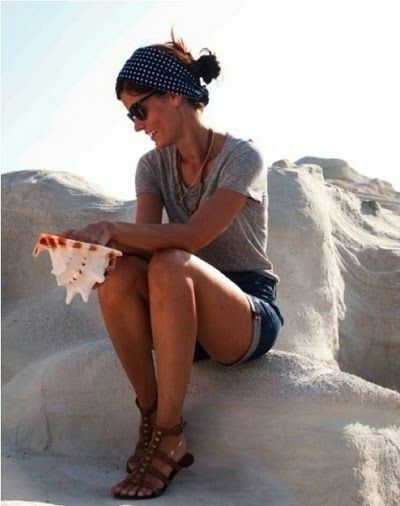 An oversized bag, light scarf, hat, or jewelry can really change up your simple denim shorts. Go casual or dress your shorts up. You can also transition your denim shorts into the fall with a fun ankle boot and sweater. Shoes can certainly make any outfit. Remember, like all fashion, keep your shorts age appropriate. You don’t need anything too short or too long. This is where balancing and style can come in. Find out what looks best on you simply by looking in your favorite style magazines, Pinterest, or fashion blog sites. Have fun with your denim shorts ladies. They will certainly be around a while. Teal Aqua Blue and Green – I am in Love!